B.A.Sc. (Toronto), M.Sc. (Saskatchewan), Ph.D. (Case Western Reserve), P.Eng. Peter Lawrence received a Bachelors in Electrical Engineering at the University of Toronto in 1965, a Masters in Biomedical Engineering at the University of Saskatchewan in 1967 and a Ph.D. in Computing and Information Science at Case Western Reserve University in 1970. Subsequently, he was a Guest Researcher in the Dept. of Applied Electronics of Chalmers University of Technology in Goteborg, Sweden (1970-72), and a Research Staff Member and Lecturer in the Dept. of Mechanical Engineering, Massachusetts Institute of Technology, Cambridge (1972-1974). 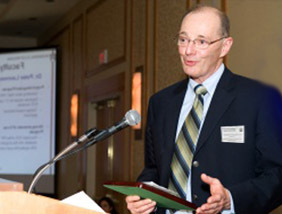 He joined the University of British Columbia in 1974 and is now a Professor in the Department of Electrical & Computer Engineering.